As we aren’t going on our ‘first trip’ for a couple of months yet, I thought I’d share with you a recent trip we took to Fraser Island. We decided to head up there in July last year just to get away. 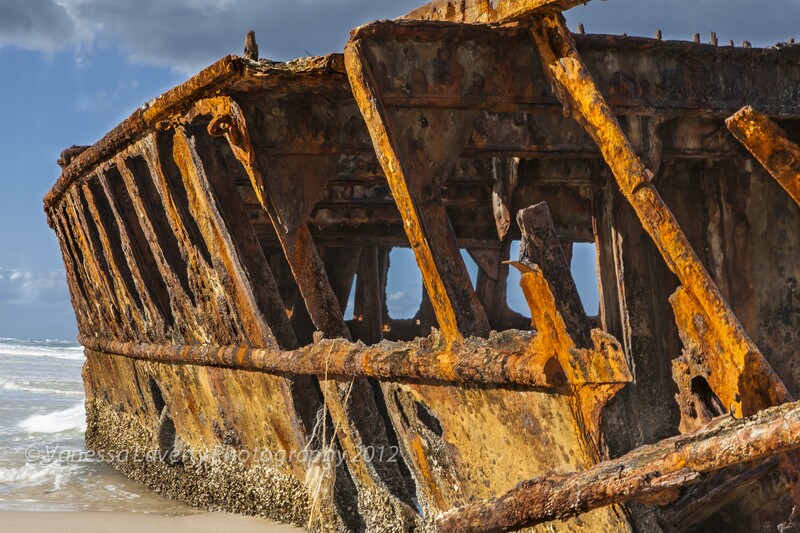 I had never been to Fraser Island and was keen to see what all the fuss was about. We loaded up the ute with camping equipment and our trusty Fridgemate fridge, left the house and animals in charge of a trustworthy soul and headed off. Fraser Island is one of those iconic ‘must do’ destinations which should be on everyone’s ‘bucket list’. It’s world heritage listing ranks it up there with Uluru, Kakadu and the Great Barrier Reef. The Island is 123km in length and 22km wide at its widest point. Situated a comfortable 4hrs north of Brisbane, it’s an easy drive then onto the ferry which takes you over to the Island. Known for it’s beauty, long stretches of white beaches, over 100 freshwater lakes and rainforests, Fraser Island is a thing of beauty not to be missed. There’s a range of accommodation on the island ranging from resorts, national park camping and private camping grounds. We chose to stay at one of 2 private camping grounds on the Island – Cathedrals on Fraser (please see our review here). 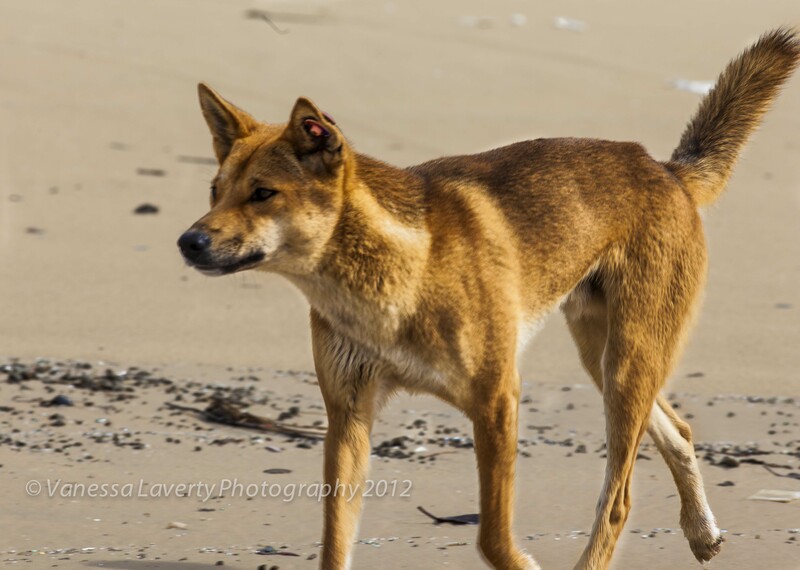 The dingos certainly made their presence felt. 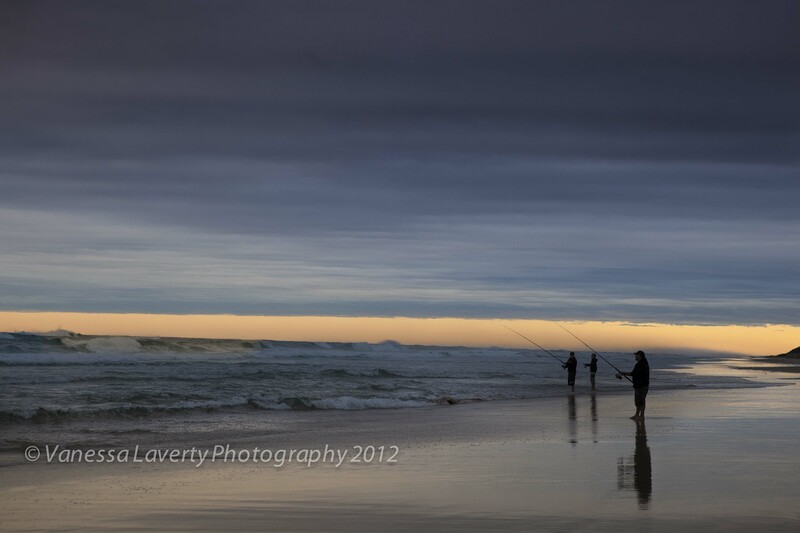 On the beach, they stand close behind fishermen hoping for an easy dinner – some even attempt to grab the bait off the fishing line as it’s cast back. Fraser Island is definitely known for it’s four wheel driving as well as its bushwalking and fishing. We discovered a new fascination with tide time tables working our day around the tides – a new experience for me. Whilst Damian is very experienced with 4WD-ing, I was all questions when it came to why he was reducing the psi on the tyres and all the other precautions. It was definitely a learning curve for me which left me hungry for more – learning and 4WD-ing. 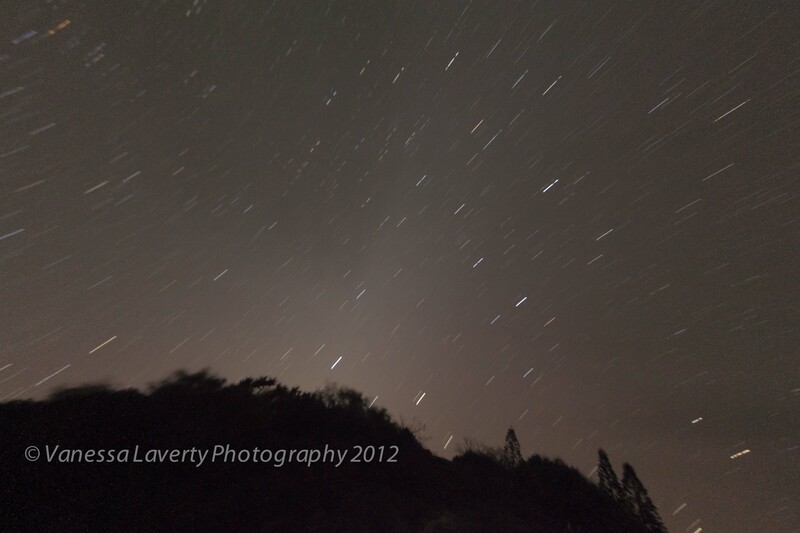 Whilst Damian was fishing at night, I took advantage of the time by shooting some long exposure star trails. The sky is beautiful at night and couldn’t resist getting my camera and tripod out. We really just spent our time up there leisurely exploring and fast came to the realisation that we will need to visit there quite a few more times to really get to see the Island and all it has to offer.